On the corner of Queen Street and the High Street, is the 14th Century Stone Cross showing ornate markings or “crockets”. It was moved from the opposite side of the High Street where there is a small plaque showing its original location to its present site in 1970. The origins of The Cross are unknown but it is certainly not an “Eleanor Cross” nor is there any documentation to suggest that a market was held here. The Royal Oak Public House This building dates back to the 17th Century. It was called The Railway Hotel until c.1900. The original arch, although bricked up, is still visible and this was the entrance for horses and cabs. David Hoe ran the Royal Oak posting house in 1894. He offered livery stables, hunters and carriages for hire as well as providing luncheons and dinners for commercial travellers or pleasure parties. The newsagents and the saddlers next door were in the Royal Oak yard. The Royal Oak itself was an important meeting place and many property auctions took place within. It can be seen from the altered brickwork and window styles that many of the buildings in this area were once shops or businesses, reflecting the increasing commercial growth of the villagein the 19th Century. Number 41 High Street, once a grocer’s then a bank, is a good example. 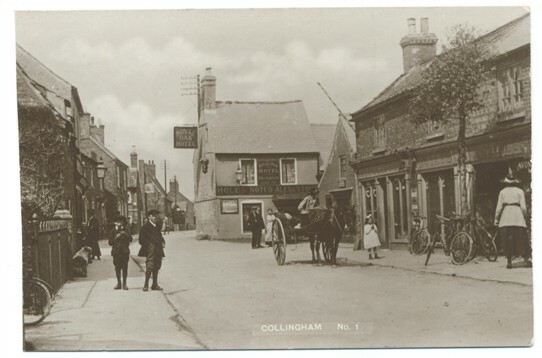 It is thought that North and South Collingham had around thirty shops at one time. Church of England National School. This building is behind 15 High Street and was built by subscription in 1839 as a National School, which meant that it was a Church of England school. It was in those days a mixed school. Directories of the 1840s and 1850s state that it could accommodate 200 children although it is doubtful as to whether this was ever put to the test. The Diocesan inspection schedule of 1867 gives a total of 96 children on the books, including 20 infants; the eldest of these was 14 years old. The Inspector complimented the children on their religious knowledge but suggested that their poor performance in arithmetic was due to the low level of reading ability in the school. 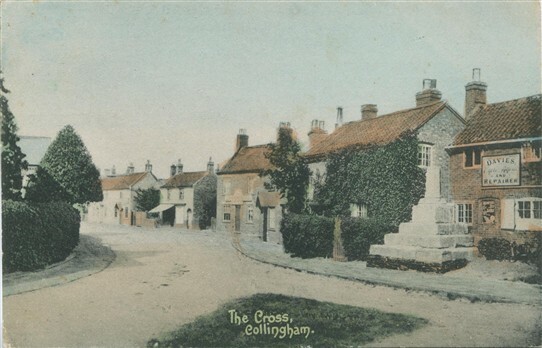 Following the Education Act of 1870, it was decided to establish an elected School Board in Collingham. This Board met for the first time in January 1876 and from this date the school became a non-denominational Board School. 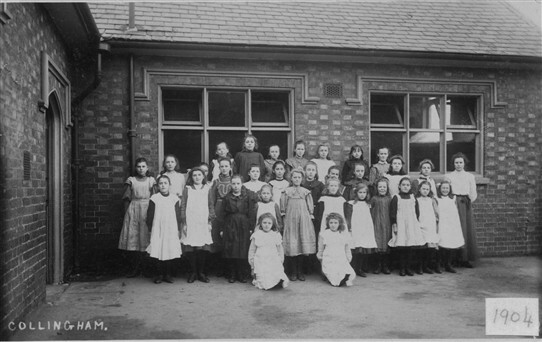 By the early 1890s, increasing numbers of children attending the school made a complete reorganisation necessary. The Board was granted a lease of the former Wesleyan school and in November 1894, the boys were moved there, leaving the former National school building for the girls and infants. In 1902, the School board was wound up and its two schools were transferred to the County Council’s Education Committee. In 1962, the Girls school, like the Boys school, was closed and the pupils transferred to the new John Blow Primary School on Snowdon Road. The Memorial Hall This building dates from 1883 when several individuals who were leading members of village life joined together to form a Public Hall Company. The original hall was the main hall of the present building. 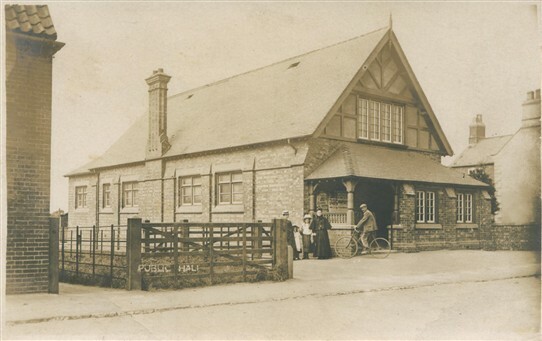 In 1946, the hall was purchased at a cost of about £1,000 with subscriptions from the village as the village’s War Memorial and became a charitable trust. It was re-named The Memorial Hall in memory of the Second World War. In 1960, the Mayfield Room was added to the original building and it has since had an extension to the front of the building, cloakroom accommodation, a bar and disabled access installed. This page was added by Liz Addington on 07/12/2010.